HOLLYWOOD JUNKET was on the set of the “Dr. Phil” show Monday, February 23rd for a sneak peek of his recent interview with Nadya Suleman, a.k.a., “Octo-Mom”. His main objective for doing the interview was to “get through” to Suleman. A segment was also shown of an interview done by Lara Spencer for “The Insider”, who visited the set of “Dr. Phil”, of Suleman arguing with her mother, Angela. Dr. Phil agreed with Suleman that medically, her chances of having all seven or even the eight that formed were a .001 percent chance. But stated that even the attempt to have just one more child to add to her already six was selfish. Dr. Phil interviews Octo-Mom airs today. 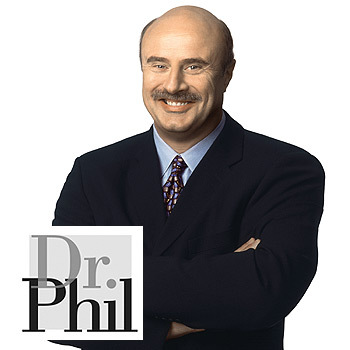 In an exclusive session of questions and answers conducted by Dr. Phil with the audience after the show, Dr. Phil answered one woman’s question regarding “Child Protective Services” by stating that because the conditions that Suleman was keeping the children in (small house, on welfare, single mom) that it still would not be better to take them away from her and put them in foster homes. In his work with his wife, Robin, they both stated that currently there are 25,000 orphans to 400 foster care homes in Los Angeles. The only solutions Dr. Phil expressed was that Suleman find all the “man power” and help that she can get, and that the children should not suffer because of the mental situation of their mother. Also, according to Dr. Phil and Suleman’s publicist who is offering up his services for free as a close family friend, Nadya does not even have putting the children up for adoption on her “radar”. She always planned to raise them all on her own. The man who recently came forward claiming that he is the father was denounced by Suleman and her publicist. Her publicist said that his donation did not “take”. After the in vitro, his donation was not saved, but most likely discarded by the lab. According to Suleman, all of her children have the same father who is a close friend. Dr Phil’s “big” question to Suleman will be revealed during the second half of the interview airing Thursday. The first half of this interview airs today.